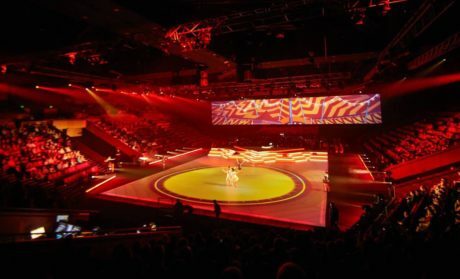 AUSTRALIA – Queensland’s Creative Generation (CGEN) event is known throughout Australia for giving rising young stars the chance to perform on an arena stage with world-class production and visuals. Now in its fourteenth year, CGEN 2018 was bigger than ever. More than 1,800 schoolkids participated in the government-sponsored event, which took place over two days at the 4,000-seater Brisbane Convention and Exhibition Centre’s Great Hall. The young attendees work closely with Australia’s leading performance mentors to learn, network and experience the industry. 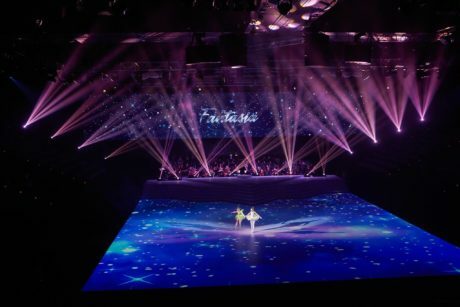 Their hard work culminates in a series of performances to an invited audience, backed by a huge 38m x 6m rear projection screen and a 18m x 20m stage, which serves as a giant projection surface. Gold Coast-based AV production expert IKONIX was contracted to supply projectors, media servers, content, programming and operation. Co-founders of the company, Zachary Burton and Richard Saunders, specified two Avolites Ai R8 servers for the upstage 6848px x 1080px screen. To drive projection onto the stage, displaying 2209px x 2469px, they specified two custom machines with Ai Miami License dongles as main and backup. Burton and Saunders created more than 900GB of content for the 50+ different acts that took part. On top of this, they incorporated NOTCH real-time generated content with the BlackTrax vision-based system to track dancers and generate content on the fly. BlackTrax was supplied and integrated by Kyle Means from Visional Productions. “Integrating BlackTrax and NOTCH with Ai was a breeze using the node-based patch system,” says Burton. “We really went for it. A lot of the show was pre-programmed in our studio, which was a mixture of timecode and free-run content pieces. But we also introduced a lot of on-the-fly and reactive content using BlackTrax and NOTCH. 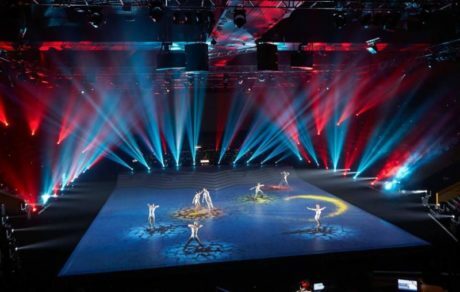 “We had moments where one item had a combination of timecode playing floor and rear screen content, as well as moving into layers of manual cues and feeding timecode into NOTCH, so the generative content could be timed to music while tracking dancers. Both Avolites Ai R8 servers were outputting in 4K. The signals were then split using Datapath FX4s, allowing the team to output to the multiple projectors around the room. In addition, they took two SDI inputs to each server, sending camera feeds and other content to create some interesting new PIP designs.